Welcome to the Augusta Dental Center! We are your resource for affordable dental care in Augusta, GA. Augusta Dental Center has been treating patients at their Greene Street location since 2005. We have provided over 25,000 patients with quality and affordable dentures, partials, and oral surgery services. We have our own dental laboratory on site, which allows us to offer SAME DAY SERVICE on most denture procedures. We can even repair your dentures and partials while you wait! We offer a free consultation and no appointment is necessary. We are your affordable dentists in Augusta, Ga! Fill out our patient form and call our office to schedule an appointment today! J. Michael Scott is a general dentist and owner of Augusta Dental Center P.C. Dr. Scott graduated from the Medical College of Georgia School of Dentistry in 1981. He also attended Augusta College for undergraduate work. 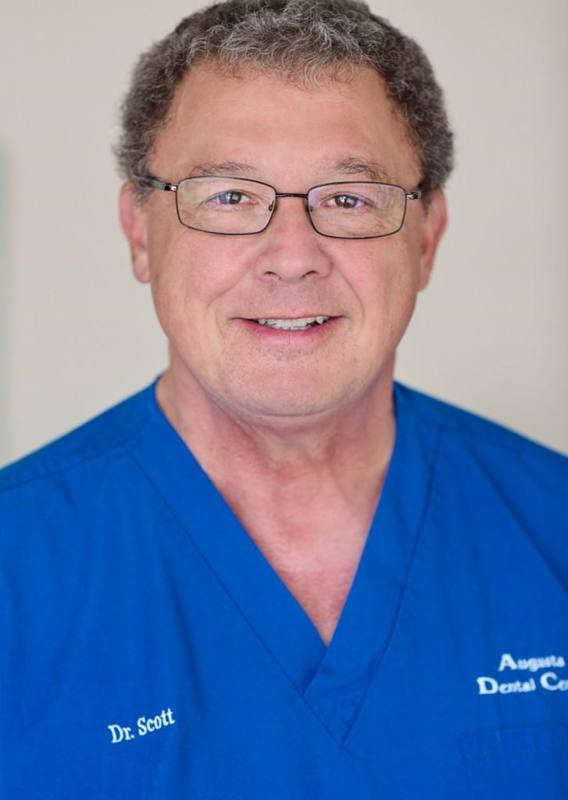 Dr. Scott opened Augusta Dental Center in 2005 and has treated over 25,000 patients at his Greene Street location providing quality dentures, partials and oral surgery services. SAME DAY SERVICE on most immediate dentures is available since we have our own on-site laboratory for denture fabrication to perform repairs for your dentures and partials while you wait. Our purpose is to provide dental services at a low cost! We realize that dental treatment is expensive and that the cost of saving badly diseased teeth is out of reach for many people. But people have to do something! If you are in pain or swollen, if you can’t chew your food, or if you’re too embarrassed to smile, Augusta Dental Center is here to provide good treatment alternatives that are financially realistic and doable.